If you need to sell a property, you would need the service of a Real Estate agent who would help you get buyers to buy your property at a good price. In addition, if you are looking to buy property, you would need a Real Estate agent to get you the preferred property at a bargained rate. Whether you want to sell or buy a property, you would meet with the agent, give him the documents of the property you want to sell or the specification of the property you want to buy. They would help you find buyers for your property and for buyers, they will help you find sellers of properties.  Azunus Realty Consult provides quality and affordable Real Estate Agency Services. We serve as an intermediary between sellers & buyers of Real Estate. We offer reliable Real Estate agency services that helps you get your property sold at a fair rate and get you the suitable property to buy at a fair rate. Our Real Estate agents are trustworthy to ensure fair transaction between sellers and buyers of Real Estate. We do not side with sellers against buyers or side with buyers against sellers. We believe that a transparent work between sellers and buyers of Real Estate property is key. We establish a trustworthy relationship with all our clients. No matter the size of your budget, you can benefit from our services with any of our flexible payment packages.